Fall has arrived this week and to celebrate we have scoured the Internet to find fun crafts you can make with the leaves that will soon be covering your lawns. I loved playing and creating things with leaves as a kid. My siblings and I would make leaf forts in the front yard and then take the leaves inside to create “Paper” out of them. Looking back these are the memories that I treasure with my family. Now its time to make some more memories with my own kids! 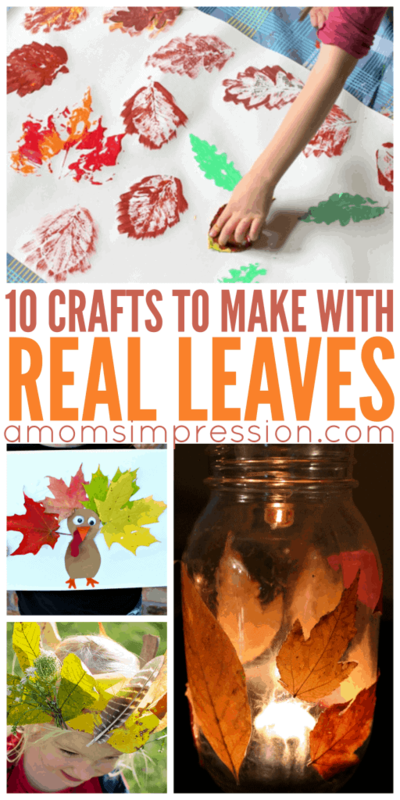 We have lots of fun traditions for fall including apple picking and going to the pumpkin patch to choose the perfect pumpkin for everyone, and now we have these fun activities and Crafts to Make With Leaves! « The Muppets Premiering on ABC Tonight!